Gsuite has quickly become very popular amongst small to medium and even enterprise level companies due to it’s flexibility, functionality and price point. One of the reasons why Gsuite (Previously known as Google Apps) became very popular was because it is a Google product, and hence the integration to all Google products is built in for seamless integration. 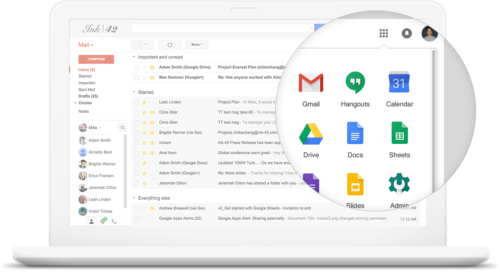 If configured correctly, Gsuite is a very powerful and popular email solution for a one email account business, all the way up to a 500 email account enterprise or educational institution. There are many configuration settings, permissions, DNS records, etc that need to be configured correctly, this is where we can help! We have personally used Gsuite for over 10 years now so we have FIRST hand experience in troubleshooting, configuration and deployment. We have many happy customers who have left us a testimonial as well for your peace of mind. We would love to assist you with your Gsuite needs! Please use the form on this page and we will contact you back ASAP.